3.Initiate a Recharge of amount 60 or more. 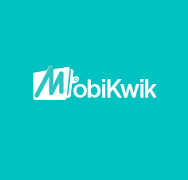 4.Enter Promo Code : GBOSSMAWSP Under "I HAVE PROMO CODE"
5.After Recharge Done you will get 100% cashback(Rs60) in mobikwik wallet. 1.Offer applicable only for new users. 2.Offer valid till 15th October,2015. 4.Cashback Valid once per user.